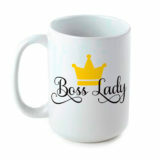 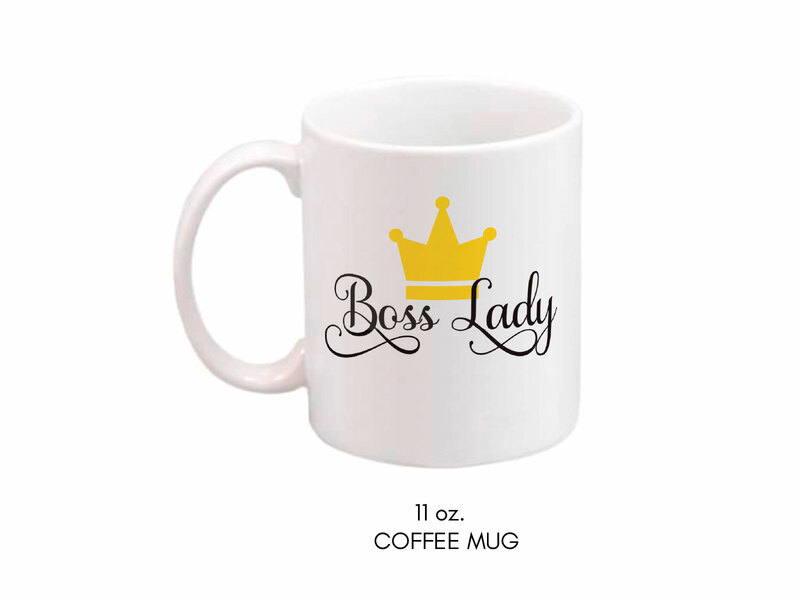 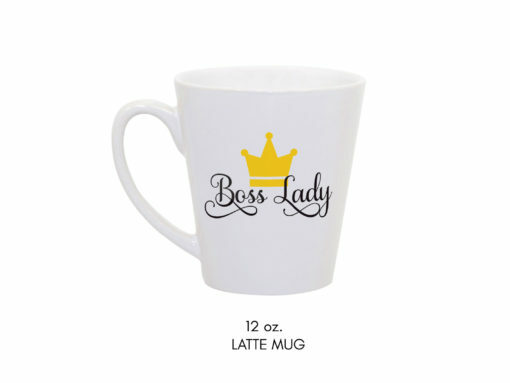 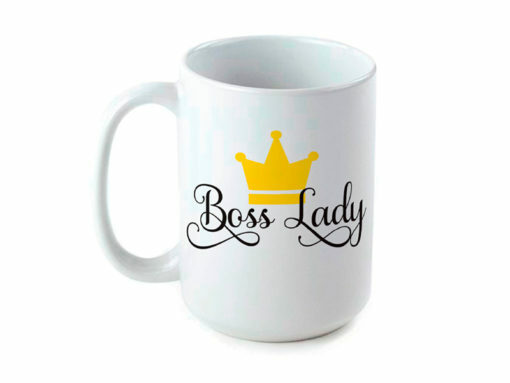 Show everyone who is the boss with our exclusive Boss Lady Mug. 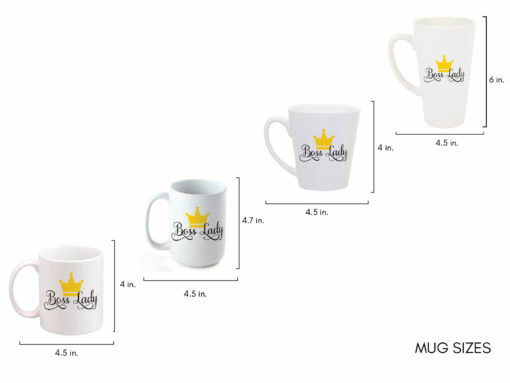 It is available in four formats: 11 oz. 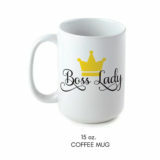 coffee mug, 15 oz. 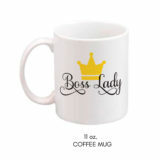 coffee mug, 12 oz. 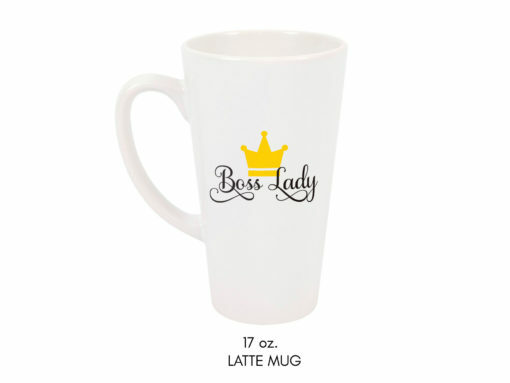 latte mug, and 17 oz. 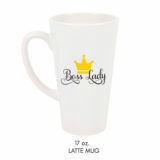 latte mug. All of our mugs are microwave and dishwasher safe. 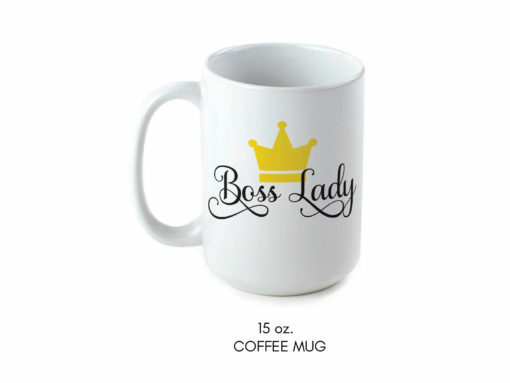 The Boss Lady design is printed on both sides of the mug. The design is applied through a sublimation process and won’t ever fade or wash away. 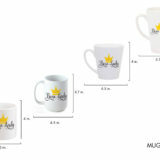 All of our ceramic mugs exceed FDA requirements for food and beverage safety. All of our products are made to order in Norman, Oklahoma. 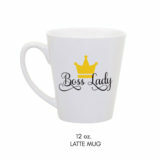 Our processing time can take from 1-3 business days.